We all got stumped by this hidden man in the face of a bear, and we stared at this shiny legs illusion for almost an hour before figuring it out. Now there’s a new photo that’s stumping the internet. On October 29, 2017, Micah Horn shared a photo he’d taken on his Instagram account. The next day, Micah’s friend Brandon Brieger shared the image to his Twitter account, where it got a ton of attention. To date, the photo has been retweeted 298 times and liked over 1,800 times. 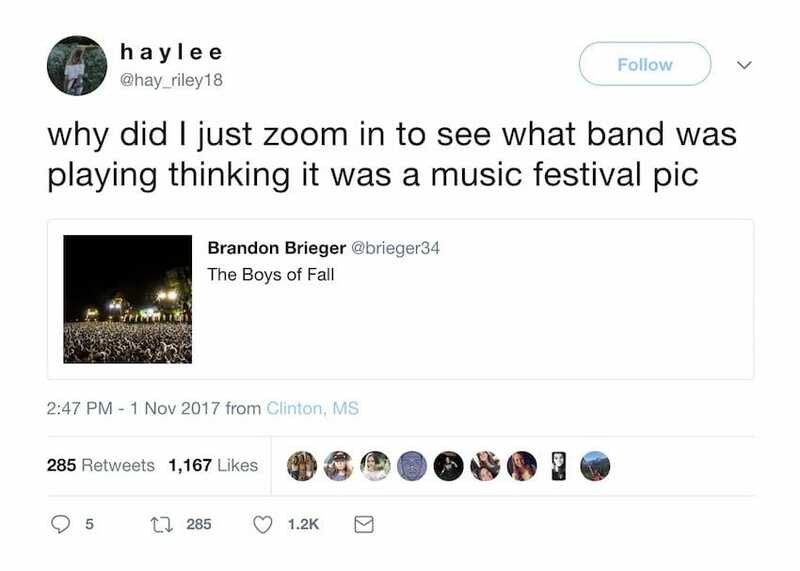 People were absolutely positive that the picture was taken at a massive concert or music festival — it looks like someone stood in the crowd and snapped a photo of the stage over the heads of other concertgoers. But the image isn’t what it seems. 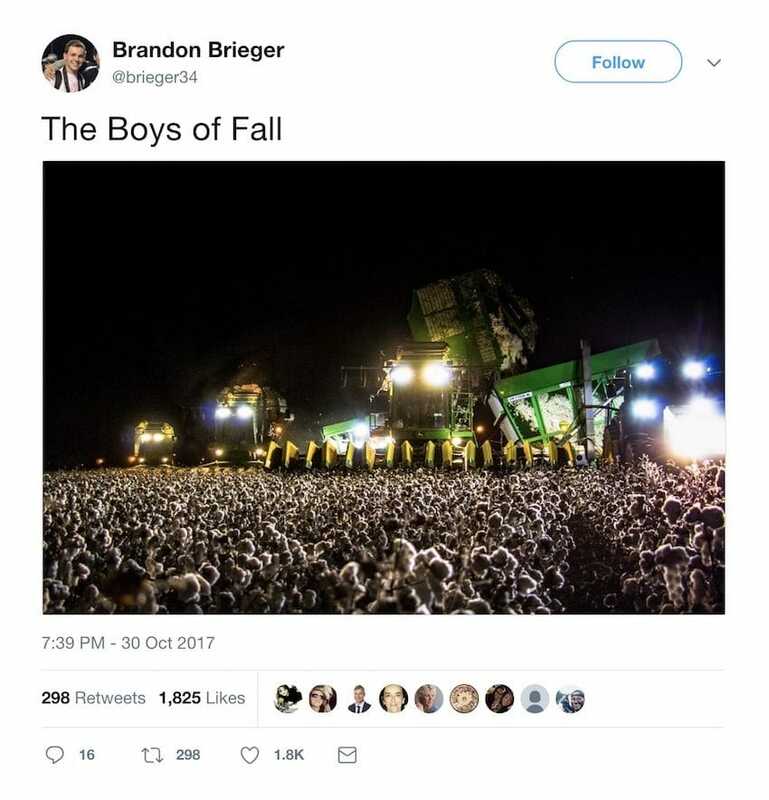 Brandon captioned the photo, “The Boys of Fall,” which sounds fairly band-like, but it’s actually a reference to farm life. Take a look at this picture. What do you see? If you see a concert, you’re not alone. 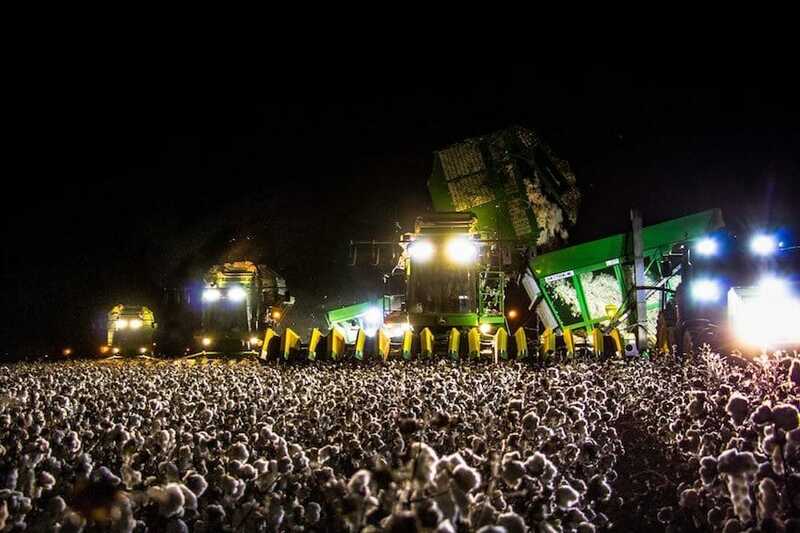 Almost everyone initially thinks this is a photo of a music event. Take a closer look, though: Are those actual people in the crowd? 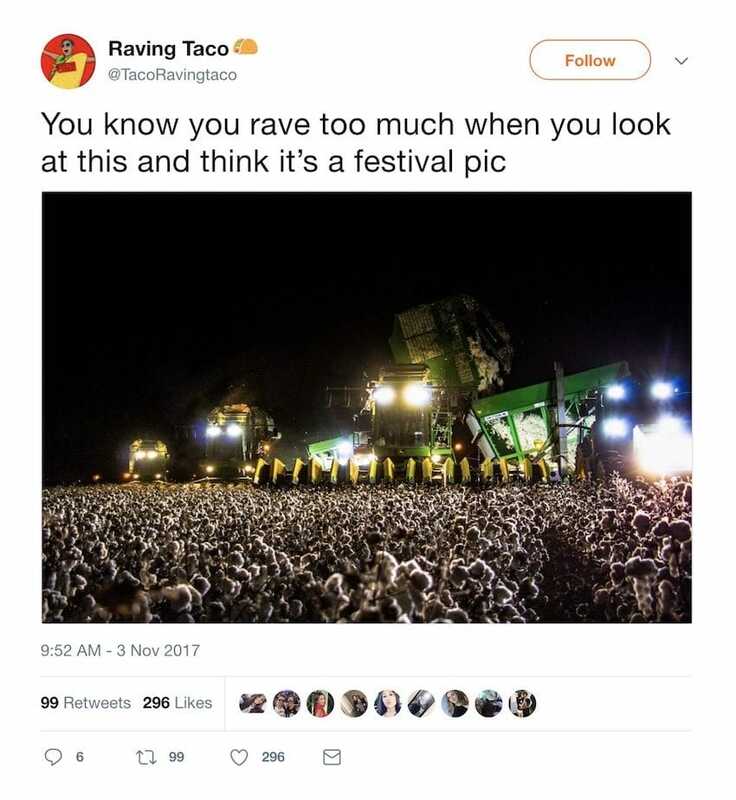 Is that actually a concert stage, or something else? 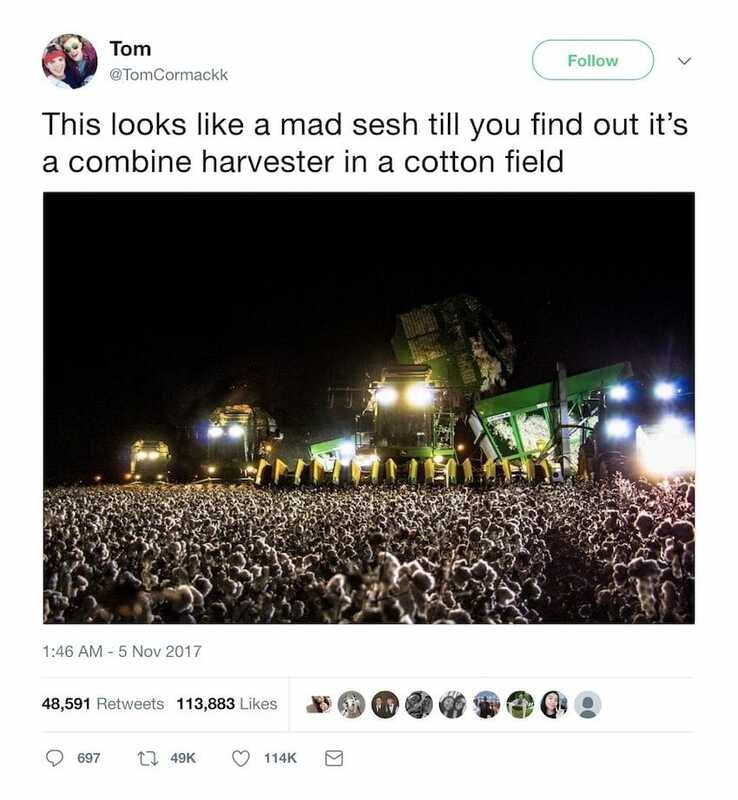 It turns out that the photo isn’t even close to a concert; it’s actually a cotton field being harvested! Look at the picture again. Do you see it now? Tom Cormack shared the photo on his Twitter, where it got massive engagement. His post got over 48,000 retweets and over 113,000 likes. 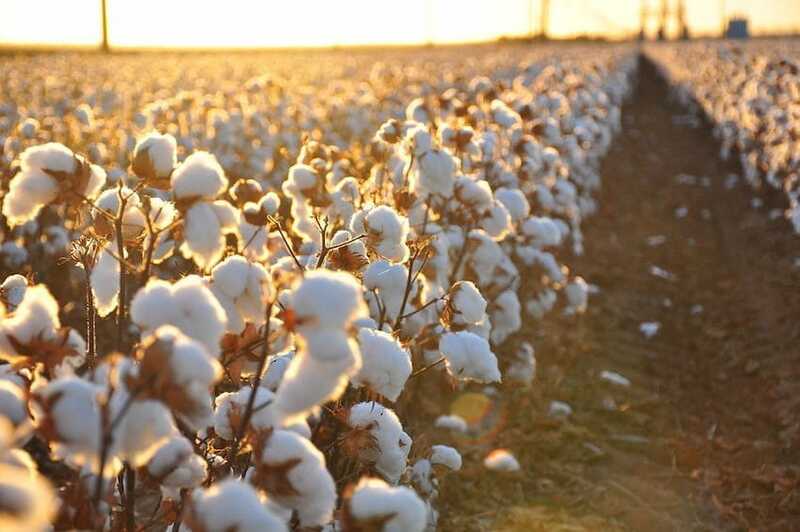 It seems like a lot of people could relate, because almost nobody understood it was a cotton field at first. 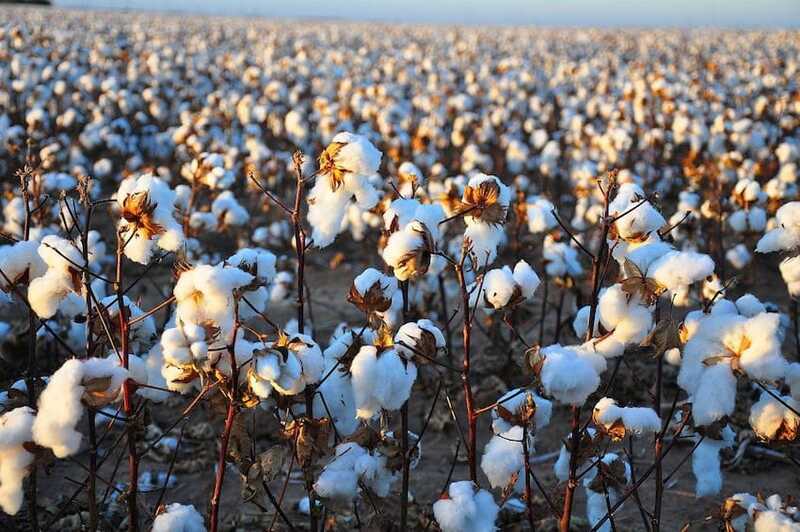 If you’re still struggling to see the picture for what it really is — a cotton field — just compare it to this similar photo taken during the daytime. It’s impossible to see it as a concert now, isn’t it? Some people who saw the picture worried that the way they saw the image reflected poorly on their lifestyle choices. 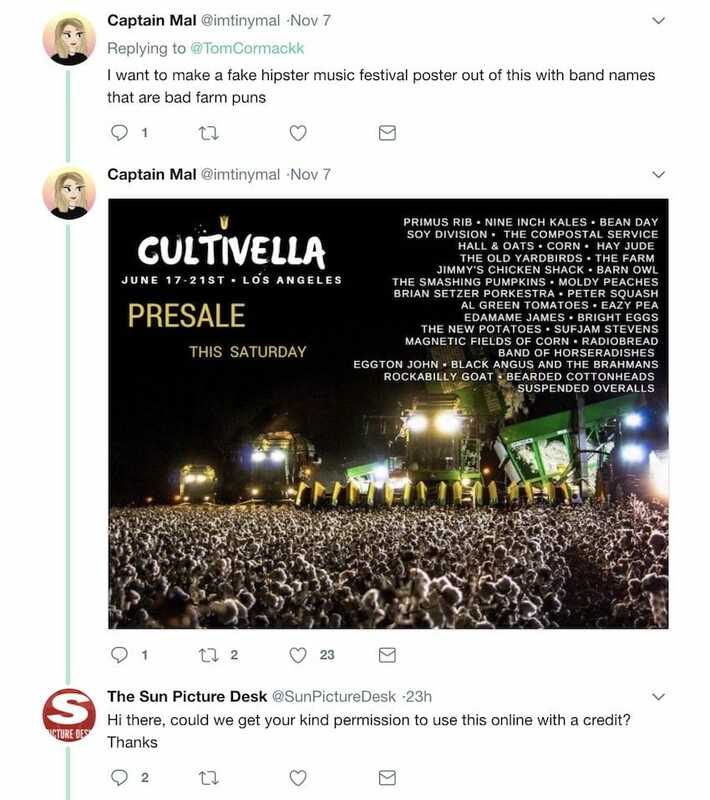 One person thought the whole situation was so funny that they wanted to turn it into a concert poster showing a mock festival lineup. “I want to make a fake hipster music festival poster out of this with band names that are bad farm puns,” Captain Mal wrote. “Still better than Leeds Festival,” wrote another person. 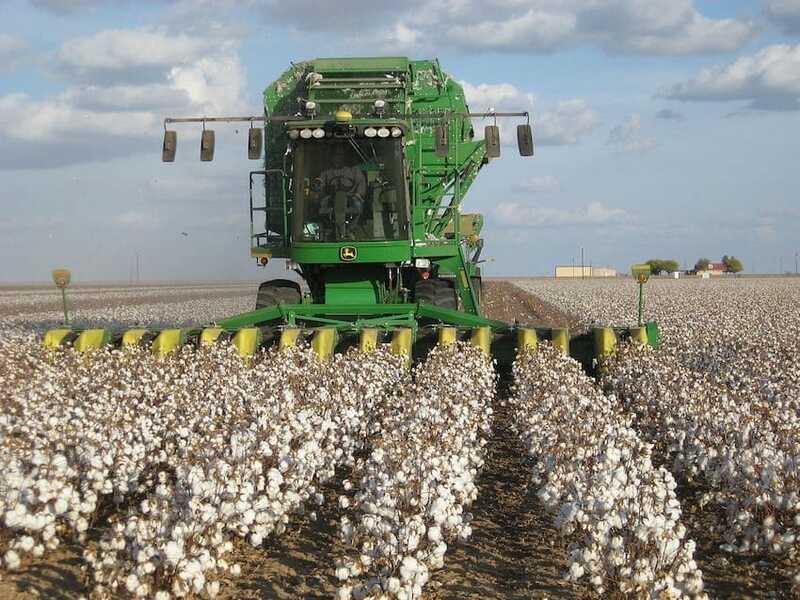 Were you convinced that photo was a concert, or did you know right away that it was a cotton field? Forgot To Think Copyright © 2019.